This is the time of year you start getting seed catalogs in the mail. As you start to plan ahead for the spring, Here are five of my personal favorite garden varieties to grow. I’ve chosen these for their great nutrition, easiness to grow, and as you’ll see – because I can get the kids to eat them! Broccoli: This is often called the ‘super vegetable’. Especially high in vitamin C, but also the B vitamins, calcium, iron, magnesium, phosphorus, and potassium. And yes, I am partial to the common Di Cissio variety for the home garden because you can get more than one cutting with the side shoots. Easy to grow. A general tip on getting kids to eat vegetables, and especially broccoli – smother it with a cheese sauce. Throw in some bacon bits if you want to make it completely irresistible. Peas: Sugar snap peas are like candy. I like both the Oregon and Mammoth Melting Sugar varieties. Peas are rich in vitamin C, but also vitamin K and manganese. The best reason of all to grow these is my kids treat my yard like a snack bar when the peas are growing! I’ve almost had to break up fights over who gets the peas – one of the few arguments I loved. Leafy greens: OK, I couldn’t decide which is better – kale, spinach, lettuce, chard… I love the Lacinto kale and American spinach varieties. And who can’t pass up good ole Romaine lettuce? Spinach, of course is rich in iron and has been called “the women’s vegetable” as women usually need more iron than men. Lima Beans; ‘King of the Pole’ Lima Beans are easy to grow and for home gardeners where space can be at a premium, I love the pole beans that can go up, and produce lots of beans with little ground space. Lima’s are very rich in molybdenum, tryptophan, dietary fiber and manganese. Love that buttery taste too. Beans are an awesome staple. Beets; Gosh, I love this nutritious multi purpose plant. I like to grow the Detroit Red variety. You can eat both the root and the greens. 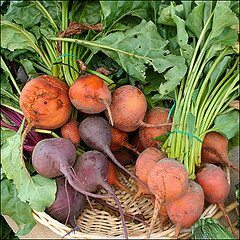 The beet root is high in iron, potassium, and vitamin C. The beet greens are high in iron, calcium, magnesium, potassium, zinc, and Vitamins A, B6, and C. The thing I love about beet roots are its easy to get kids to eat them – even surly teenagers. The secret? Tell them their pee will turn red and they will gobble it up to see. And I can’t help myself with throwing in this last bonus plant. Moringa: This is actually a tree native to the the tropics or semi-tropics, and to effectively grow it you need to keep it indoors during the winter. Its a perennial and easy to grow, aside from needing to be kept warm. Every part of the tree is edible, medicinal, or useful. The leaves are very rich in a diverse variety of nutrients – it is almost like a vegetable multivitamin. I add a teaspoon of dried moringa leaf power into almost every soup or sauce to boost the overall nutrition for my family. Moringa oleifera is the variety I grow. I’ve never even heard of Moringa, so I’ll have to check that one out. Thanks for the information. I am happy to say that I have plans for broccoli, peas, lima beans and some leafy greens in my garden (spinach, arugula, lettuce and maybe kale). I’ve also heard that garlic is a great one to grow since it has natural anti-bacterial properties, and asparagus has some of the highest concentrations of folic acid which is especially important for pregnant and nursing women. I did a little research on the Moringa tree. Sounds like a great tool to have on hand. Thanks for mentioning it! Thank you for this bit of spring sunshine. 🙂 So nice to think about fresh, green, growing things when the ground is still covered in snow and remember that winter doesn’t last forever! Lovely post. Thanks so much! My seeds for spring planting arrived from seedsavers yesterday… can’t wait to get my garden planted late winter/early spring! Will be checking out the moringa tree… do you plant it in a pot or transfer it to the ground every year? I just realized that this was a guest poster, but any info that anyone has on digging it up to bring inside in the winter (or just replanting from seed every year?) is appreciated! Wow, moringa! I had never heard of it, either, but after reading this and then doing some additional googling, I can’t wait to try it out. It is always exciting to come across a totally new (to me) plant to grow! So I’m on the edge of my seat. I’ve eaten beets many times and never noticed anything. Do beets turn your pee red? Is moringa the same as noni? I’ll have to try growing that one. What about purslane? I’ve heard that is high in Omega-3 oils. Thanks for posting this and definitely it’s hard to beat the beets!! What about greens…..you know, turnip, collard, mustard, kale, etc. That’s what we had for greens, and I understand they are very high on the nutrition scale. Its all well and good to have a garden to grow vegetables in and especially those you mentioned. My concern however is with the plethora and ubiquitousness of genetically modified vegetables and seeds….. especially beets which are, to my understanding, almost 100 GM. Where does one buy NON GM seeds to plant? Look for “heirloom” on the seed package or seedling sixpack. Thank you for the information. I had never heard of Moringa. I have been researching it and I’m sold, I can’t wait to try this one. Albert N., try Baker Creek Seeds (rareseeds.com) They sell only heirloom and non-GMO seeds. I’ve ordered from them for the past several years and have always been very pleased with their products and customer service. How about potatoe? The little tuber has saved many a person from starvation. Love the list. Though rather than fussing with moringa, I use lambsquarters (a common temperate climate annual weed) in the same manner. My teen just expects green flecks in everything. Thank you for the great post and for everyone’s comments. Turnip Greens are indeed good for you. Exceptionally so. I’m not sure about the nutritional quality of collards (I need to investigate that). In the south we grow those in the fall along with mustard greens. Greens, peas (southern peas), sweet potatoes and cornbread make for a fine and nutritionally dense meal. 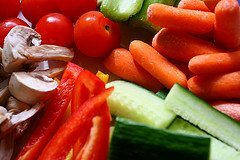 The foods that grow best in your area with the most caloric and nutritional punch is the way to go.